We, the Pakistanis, are among one of the most intelligent and talented nations of the world. Still confused to say that? Well we have just found out another ‘pride of nation’ in the form of a young bright student. 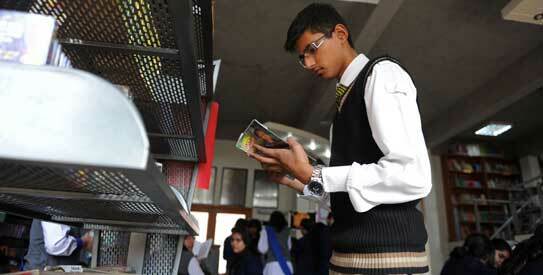 Yes, another Pakistani student named Ibrahim Shahid has just set a world record of securing 23 A’s in O level. The Cambridge O Level is an internationally recognised qualification for children aged 14 to 16. Ibrahim Shahid, 17, the son of a university professor of electrical engineering and educated at the private Beacon House School in Islamabad. Ibrahim’s Achievement is a Record in Cambridge’s 800 years history. “It’s recognition for my country. This has never been done at O Level,” he said, dutifully thanking his parents and teachers. “My teacher in Australia told my father ‘Mr Shahid your son is an average student and he never can excel,’ and then I decided to prove myself,” he said in reference to two years he spent in Australia at primary school. A Few years back, Ali Moeen Nawazish was the student who first set the World Record by securing 23 A’s in A levels and became the first student of setting up this record Â in Cambridge’s 800 years history. Every child is special and everyone has their own capabilities, one must have to work hard to prove himself.